A glance at my bookshelf gives an easy insight into why I do what I do. 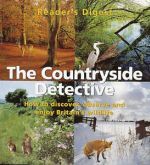 I seem to have always been reading about nature, directly or indirectly, and particularly that of the British countryside. From the Famous Five gathering armfuls of heather for camps to the chilling Silent Spring read at university, mum's old wildlfower book with pressed flowers still in it to gran's stories of romany gypsies. Here's my top picks for inspiring young and old to get out there, discover and enjoy! Joseph Bharat Cornell's book is described as "a parents' and teachers' nature handbook" and has been the starting point for several generations of environental educators. Brilliant for sensory experiences, most of the activities described are for groups of children, but can be adapted for a family walk. One I found in a charity shop many years ago, with David Bellamy as consultant. Fantastically full of photographs, there's something I bet you didn't know on every page. The book is divided into seasons and into landscape types, including towns and cities. It and draws your attention to all kinds of things you might have overlooked in the world outside your window, and is easy to read on many levels. Ray Mears is almost a cliche these days but he knows his stuff and teaches it well. The bushcraft skills in this book are great for beginners and for those enhancing their abilities. You don't have to go into the wilderness to try it out - there's lots on foraging and firewood that you can use on a daily basis! 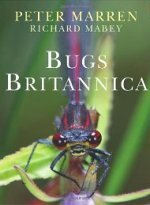 For history, folklore and amazing little nuggets of information about British wildlife, the Britannica series edited by Richard Mabey are highly recommended. Flora Britannica was the first, and there is also a Beasts, Birds, Fauna and Bugs to add to the series. Yummy books. Bugs Britannica is ISBN 070118180X. Then there are the Collins identification guides, my favourite for quick but accurate identification of your finds. I've got the wildflowers, birds and spiders, but my favourite and most heavily used is the insects one. If you want to know exactly which of the 53 possible kind of ladybird you've discovered, this is the one for you. 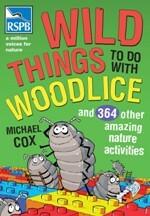 Later versions also helpfully add a few non-insect invertebrates such as woodlice and centipedes. This one comes on all my bug hunts! Insects ISBN 0002191377, there are other versions of this book. Ooh, also Collins Gem SAS Survival. Brilliant for campcraft. Earthwise environmental crafts by Carol Petash is good for inspiration with young children and for basic, colourful guides which teach the use of keys, the Gatekeeper guides are brilliant for insects, trees, flowers, seeds and seed dispersal and many more. Lastly, if you or anyone you know loves trees, make sure they own Wildwood, by Roger Deakin. I'm not even going to tell you why. Go and discover it for yourself.